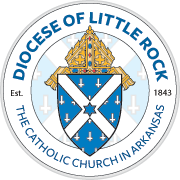 The Diocese of Little Rock encompasses the 75 counties that make up the state of Arkansas. These counties fall into eight regions called deaneries. The deanery representative for each deanery is listed below. To get contact information for a deanery representative, click on his name. To see a list of parishes in a deanery, click on the deanery name. This will also provide Mass times, directions and contact information for all the parishes in the deanery.